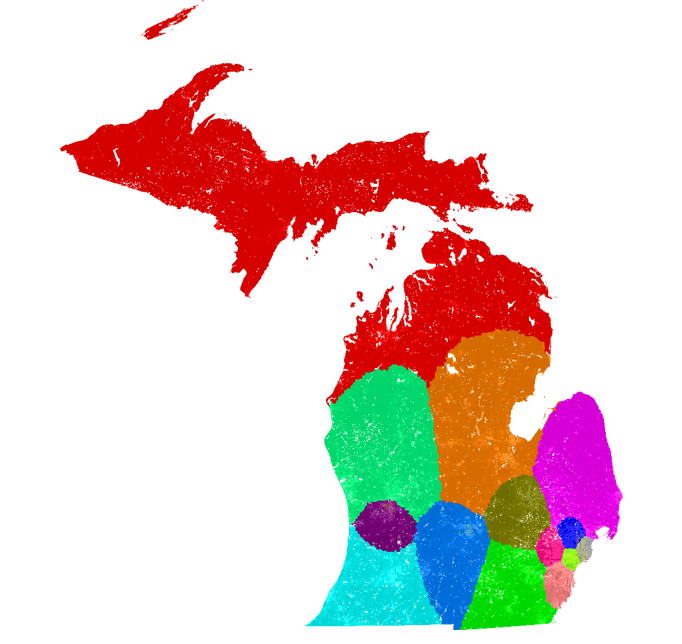 Before I get into how this algorithm works, feel free to explore the current federal districts in Michigan and compare them to the proposed districts below. If you'd like a full rundown of the motivations and method, you can read about it in detail on Medium. A computer algorithm seems like our best solution to eliminate as much bias as possible when it comes to creating voting maps. Here are some existing algorithms that all eliminate any bias by not using demographic data, which makes them good solutions in their own right. But there are still some issues with each that can be addressed. The goal of this approach is to improve constituents' access to voting centers by creating districts with the shortest possible travel times to reach the center. I really like this approach, but it still has the same problem of potentially breaking up larger populations indiscriminately. My understanding is that this is mitigated by an element of randomness, which leads to a human choosing from a set of maps for the best maps. This introduces an element of bias into the system. 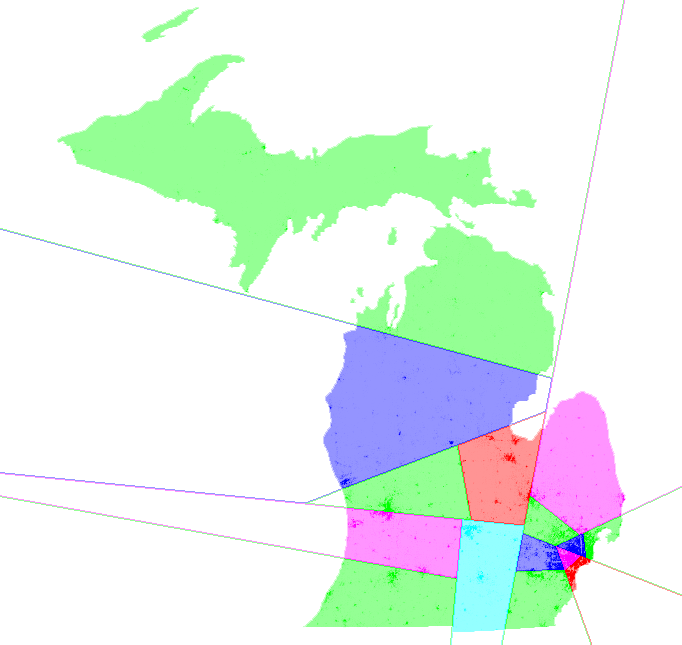 The animation above is finding the lowest population seam through a county. It finds the lowest population path through this county by evaluating its neighbors. The heat map shows population energy as measured from north to south. And then the algorithm works back south to north to find the best seam. Green blocks represent the lowest energy seam, purple blocks are the possible candidates from the current end of the seam, and orange blocks are the lowest energy candidate.